Some retired officials, who had revealed in 2013 that a secretive cabal headed by a prominent member of the then government was deliberately bringing down the value of the rupee, say that the same group is once again active in currency markets. Their intent is to ensure that the rupee falls to as low as Rs 100 to a US dollar by this December, an objective that they are well on the way to achieving. Agencies can easily determine what brokerage firms and other financial agencies are involved in the ongoing operation to ‘short’ the rupee, especially through Singapore, Dubai, London and New York. With the popularity of the Bharatiya Janata Party (BJP) in danger of getting battered by economic storms, Prime Minister Narendra Modi has taken direct charge of measures needing to be taken to remove volatility and generate growth in the Indian economy. This has been welcomed by the overwhelming majority of Central officials, who are honest and dedicated to the public welfare. They say that intervention by the PM has taken place just in time. Despite improving economic fundamentals warranting a much stronger rupee, the Indian rupee has been the worst performing in Asia. Some retired officials, who had revealed in 2013 that a secretive cabal headed by a prominent member of the then government was deliberately bringing down the value of the rupee, say that the same group is once again active in currency markets. Their intent is to ensure that the rupee falls to as low as Rs 100 to a US dollar by this December, an objective that they are well on the way to achieving. The well-resourced cabal is being assisted by the mechanism of “Exchange Traded Currency Futures” that was strengthened during the UPA period and inexplicably has been allowed to continue even after 26 May 2014. Because they enjoy close ties and credibility with key channels within the business press, it has been easy for this group to spread (through the media) an expectation amongst the public that the rupee is in “free fall”. Those officials who have declined to join the gravy train of the cabal warn that “the sooner exchange-based currency futures get restricted in India, the better for the stability of the rupee”. firms and other financial agencies are involved in the ongoing operation to “short” the rupee, especially through Singapore, Dubai, London and New York, even though these centres are outside the reach of the Reserve Bank of India. Not that the RBI seems in any rush to do anything about the matter. Thus far, the RBI leadership has not even been making reassuring statements about the currency. This is disgusting,What all those so called our big big name central agencies are doing,,,,,oh! oh!I forgotten they are trying to save our countries culprit. These are all conspiracy theories to divert public mind and give excuses for failure. 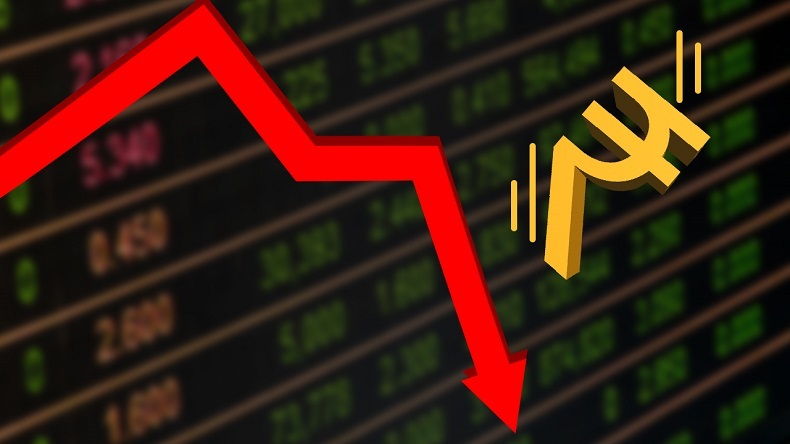 When any financial instrument, Share, Commodity, bonds or currency are on a free fall, traders generally short sell which brings the price further down. This is smart move by the Ruling Party , to cover their failures of their not so smart initiatives of Demonetization and introduction of ill planned and hasty GST, that have left the economy gasping for breath. Rupee is falling due to major Gap in our Exports and Imports and failure to rein in extravagant State expenditure with in, income. The country needs to limit and control imports of non essential luxury consumer goods. as also to formulate policies to nurse and encourage industries producing goods and services for exports. At the same time steps must be taken to Tax vulgar expenditure. The Country will do well to Replace Income tax with Expenditure Tax, this cutting out urge for creation of Black Money.